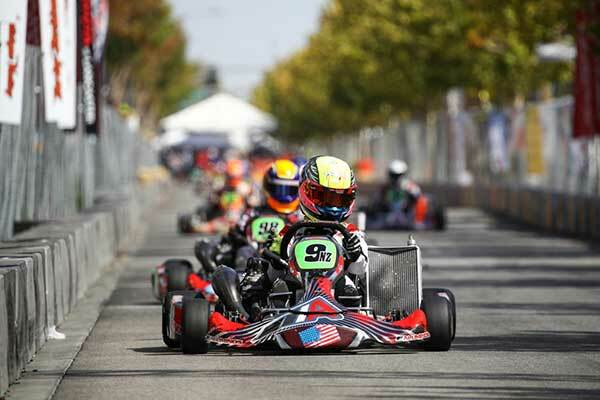 He wasn’t quite able to claim his third S1 class win in as many years but Christchurch-based Kiwi kart international Matt Hamilton still managed a podium spot (third) in the premier S1 stock moto class main event at this year’s big Streets of Lancaster Grand Prix kart street race meeting in California on Sunday. 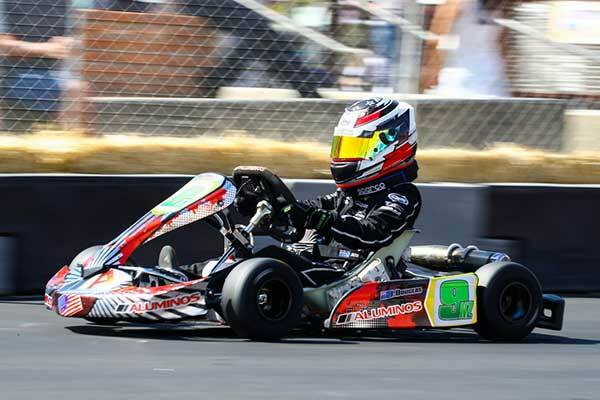 Hamilton was one of three Kiwi karters competing at the meeting with partner Tiffany Chittenden ending up seventh in the S4 class and Jacob Douglas coming back from a big crash in the second Mini Swift class heat to finish ninth in his final. “Super proud of our Kiwi contingent,” Hamilton said from the track on Sunday night. “After Jacob was involved in a heavy crash in the last heat we managed to straighten his kart enough for him to drive from grid 22 to ninth in the main, with a best time less than a 0.1 sec off the winner’s best time! 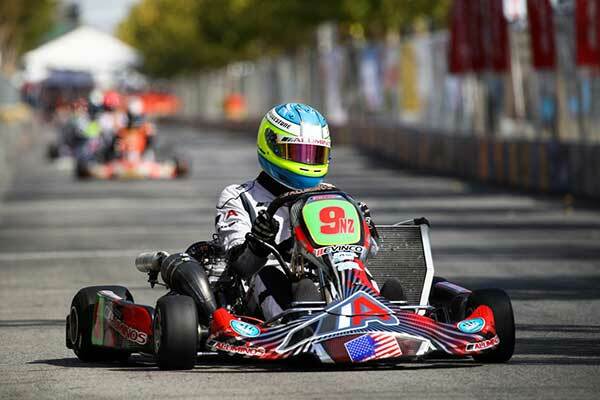 Hamilton’s own weekend started well with P2 in qualifying and a win and second place in the two S1 class heats. In the main (final) though eventual winner, top US driver Nic LeDuc, grabbed the holeshot from pole and led every lap for the win from Aluminos teammates Billy Musgrave and Hamilton. “The top three were all pretty close for the whole race and Billy and I tried to work together rather than fight for position but in the end we weren’t quite fast enough. Not quite as good as the last two years but a great warm up for Las Vegas SuperNationals in November,” Hamilton concluded.